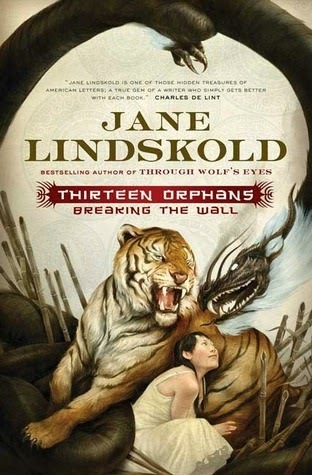 I've had the privilege of knowing Jane Lindskold for years, and fans of her will know that she solicited votes for what book I should format for her to upload. The jury's still out, but I'm excited to get started on whatever they decide. Meanwhile, she's allowed me to give away a signed, personalized copy of her book, Thirteen Orphans. As evocative and moving as Charles de Lint’s Newford books, with the youthful protagonists and exciting action of Mercedes Lackey’s fantasies, Thirteen Orphans makes our world today as excitingly strange and unfamiliar as any fantasy realm . . .and grants readers a glimpse of a fantasy world founded by ancient Chinese lore and magic. As far as college freshman Brenda Morris knows, there is only one Earth and magic exists only in fairy tales. A father-daughter weekend turns into a nightmare when Brenda’s father is magically attacked before her eyes. Brenda soon learns that her ancestors once lived in world of smoke and shadows, of magic and secrets. When that world’s Emperor was overthrown, the Thirteen Orphans fled to our earth and hid their magic system in the game of mah-jong. Each Orphan represents an animal from the Chinese Zodiac. Brenda’s father is the Rat. And her polished, former child-star aunt, Pearl—that eminent lady is the Tiger. Only a handful of Orphans remain to stand against their enemies. The Tiger, the Rooster, the Dog, the Rabbit . . . and Brenda Morris. Not quite the Rat, but not quite human either.